Sometimes original JPEG images have to be rotated for proper orientation on paper. 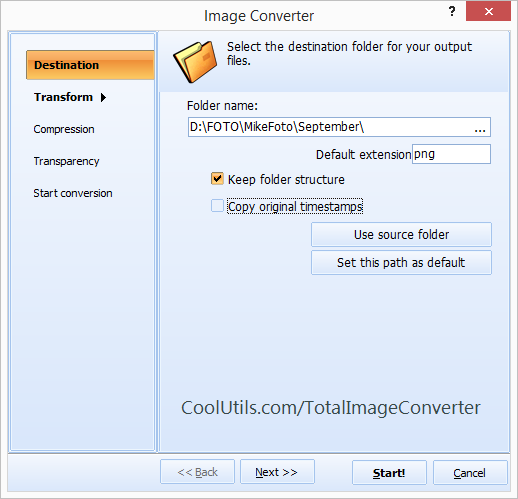 For rotating photos before conversion to another format, you usually need two tools: image editor and image converter. 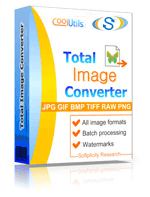 Total Image Converter is the 2-in-1 helper: it rotates and converts at once. Here is how to rotate JPEG images quickly with its help. Small icons near each item demonstrate how your image will be turned, if you chose this or that variant. Besides rotation this image converter also allows flipping in horizontal and vertical direction. So practically you can change the orientation of original images in any possible way. Remember that rotated pictures will be saved into separate files, so the originals will stay unchanged. When you open the program, you will see a few editing functions. There you will find the "Rotate" icon. If you would like just to rotate JPEG images in batch, you need to check off all the required files and press this icon. A popup window with rotation settings will appear. There, select the destination folder for the image copies, rotation mode and press "Start!". In a few seconds the images will be rotated and saved as new JPEG files. Rotation feature is available in each conversion mode. So you can convert and rotate photos in batch with one command. 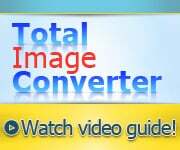 There is no need to pre-edit pictures with some other programs, as Total Image Converter has all required options on board. 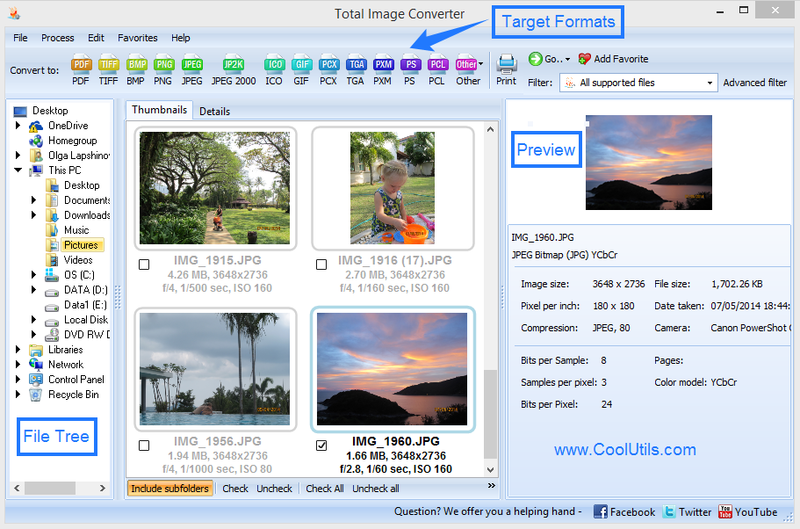 You can test this converter for free to see how easily it makes your images properly formatted. Download it here.